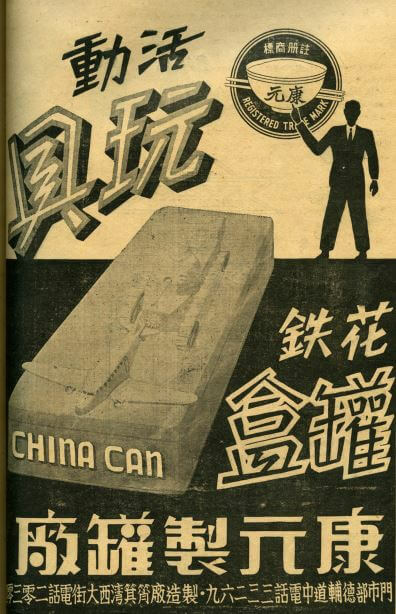 York Lo has written a lengthy article about the China Can Company and its founder KY Shang, linked below. 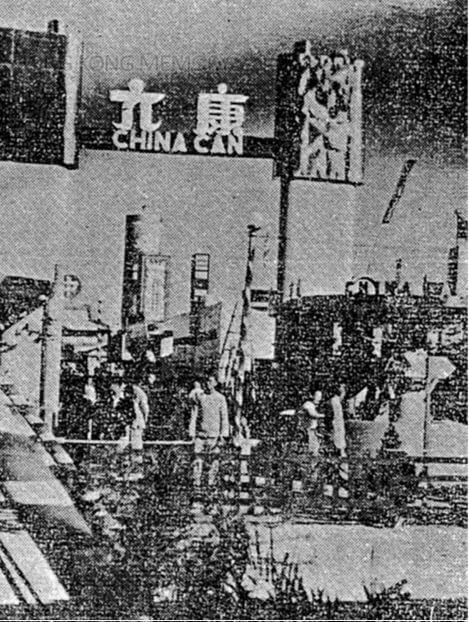 Here are a few more images related to the company which appears to still maintain an office at HK Plaza, 188 Connaught Road, Shek Tong Tsui, Hong Kong. 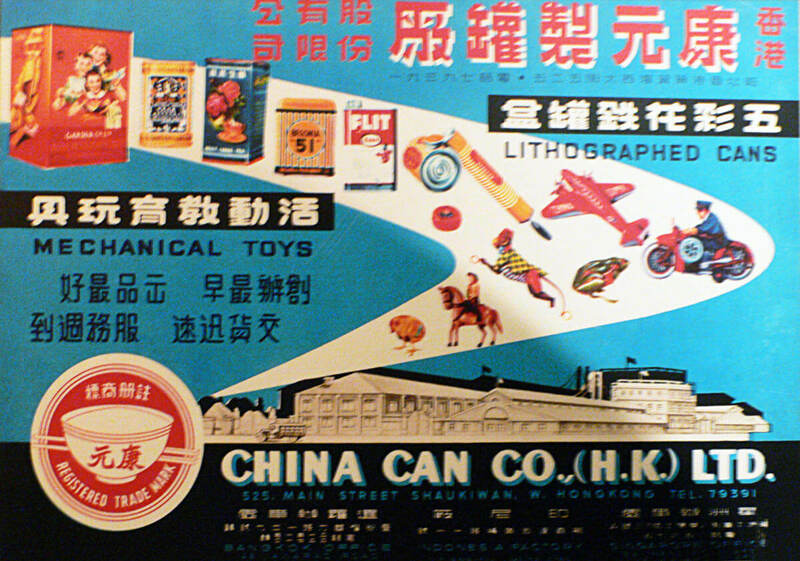 The HK Memory image shown below lists the company involved as the Hong Yuen Can Factory producer of fabricated metal products.